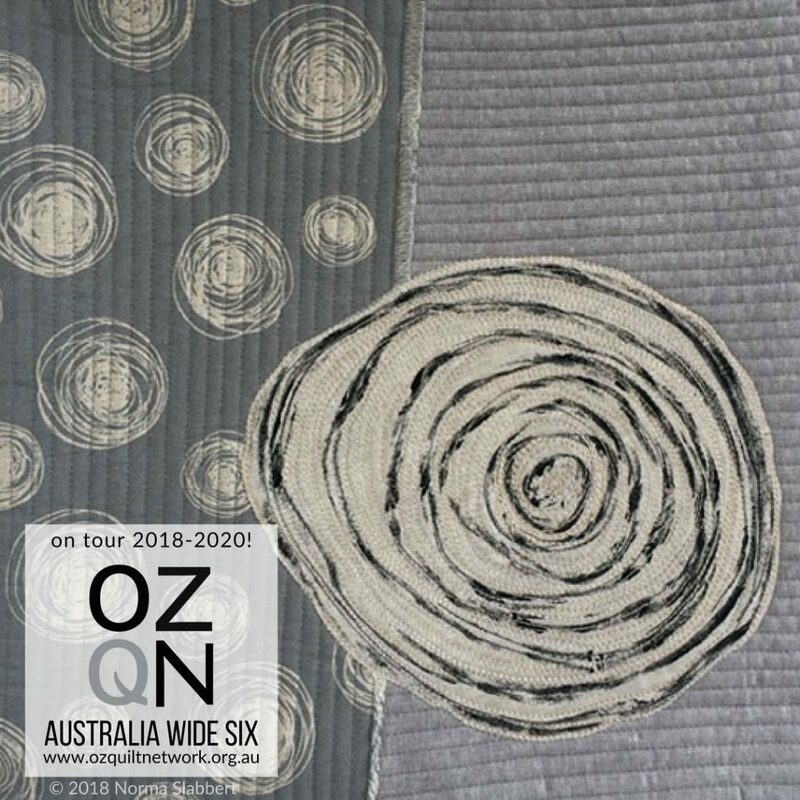 I have been quilting since early 2000’s, starting as a traditional quilter, it just wasn’t for me. 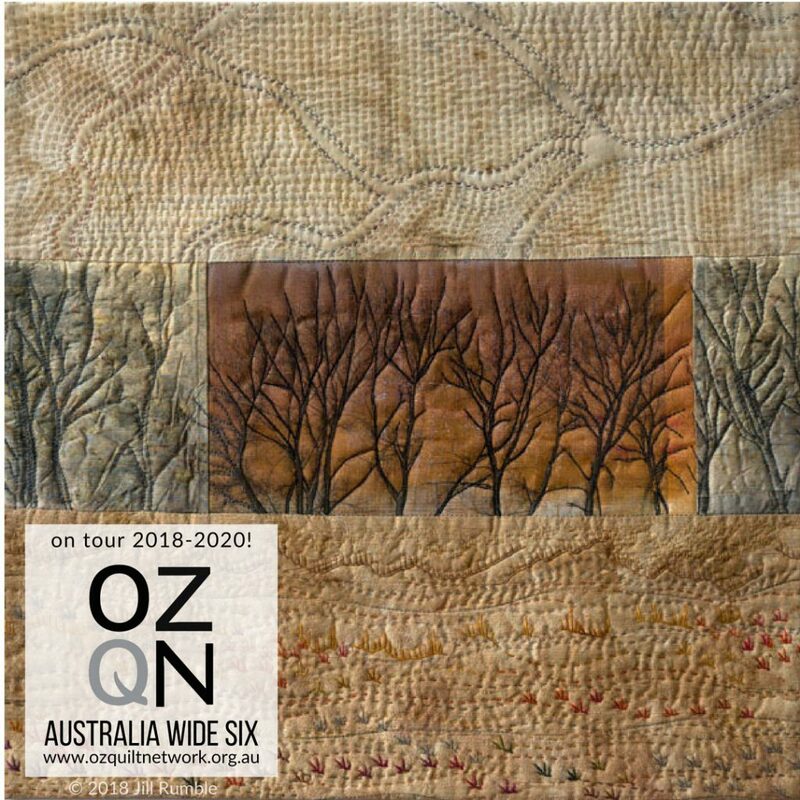 So I embarked on a wonderful journey of discovery and did my first landscape wall art quilt in 2011 which was accepted into AQC as a finalist! 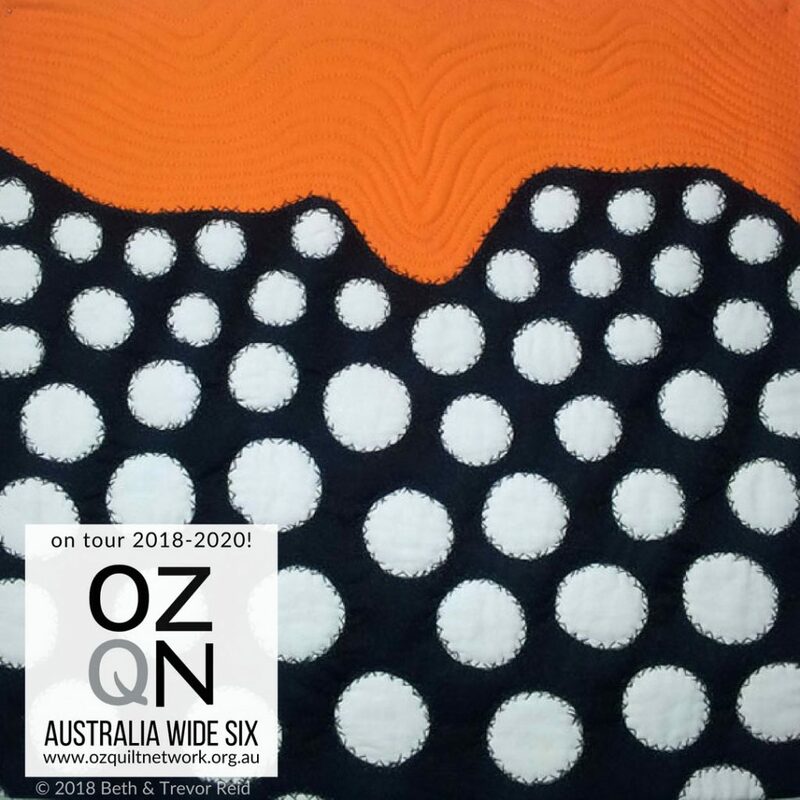 I was thrilled and knew this was what I wanted to do. 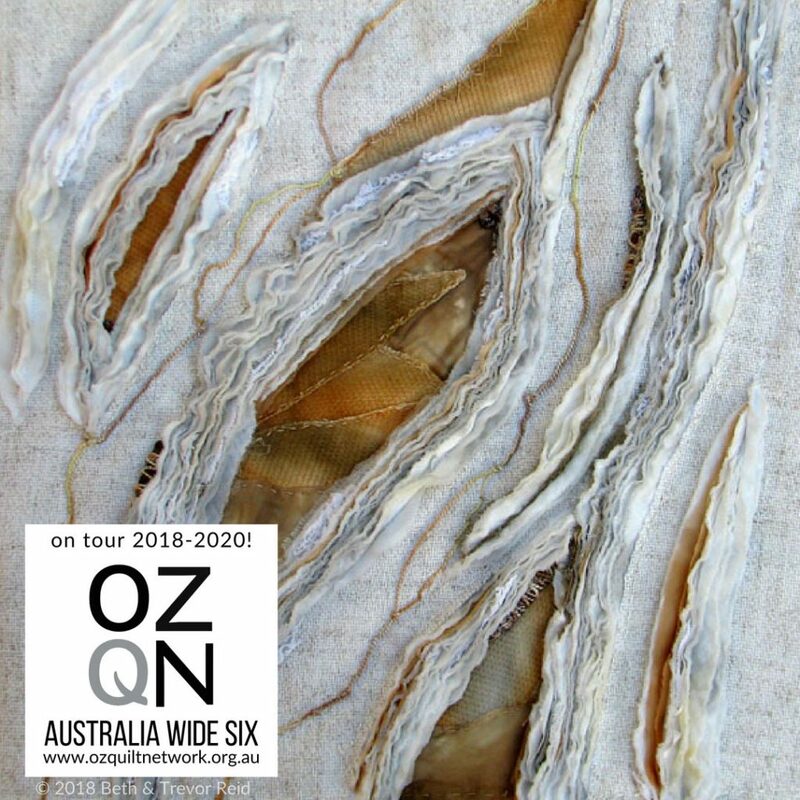 Since then I have made many more art quilts and my journey continues, I never stop learning. 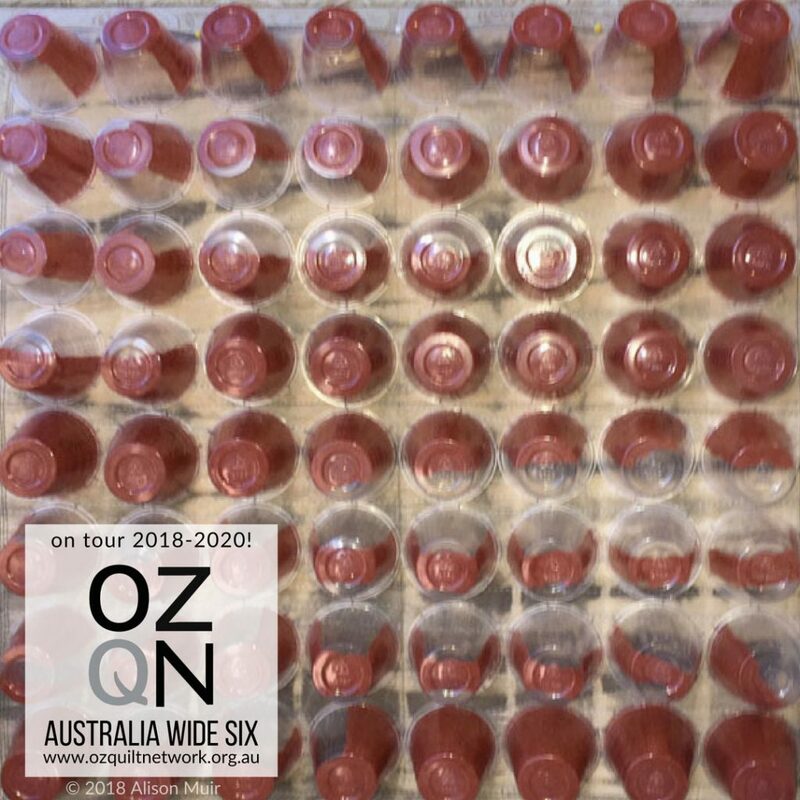 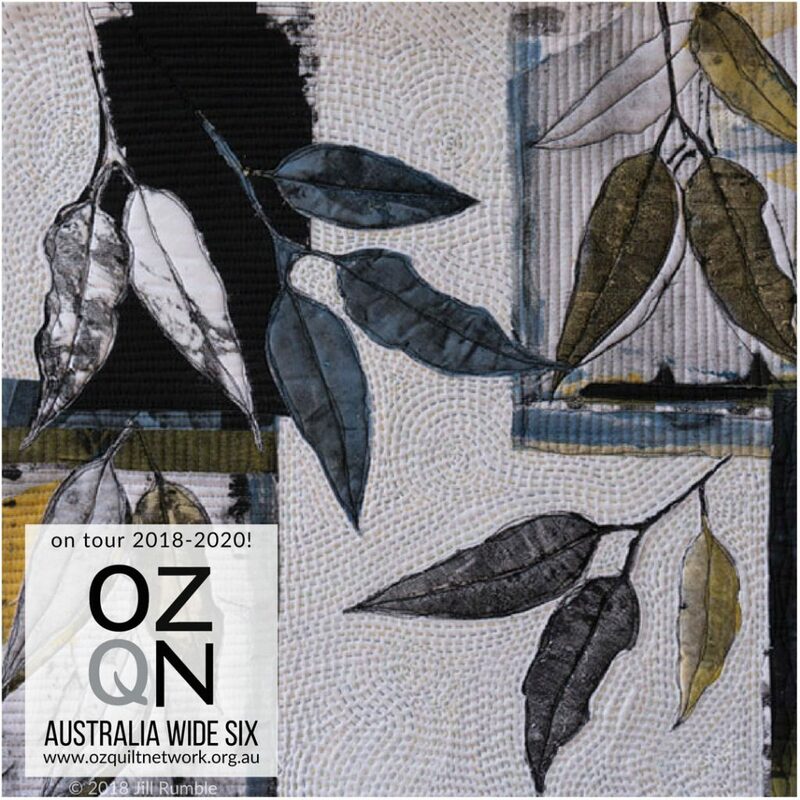 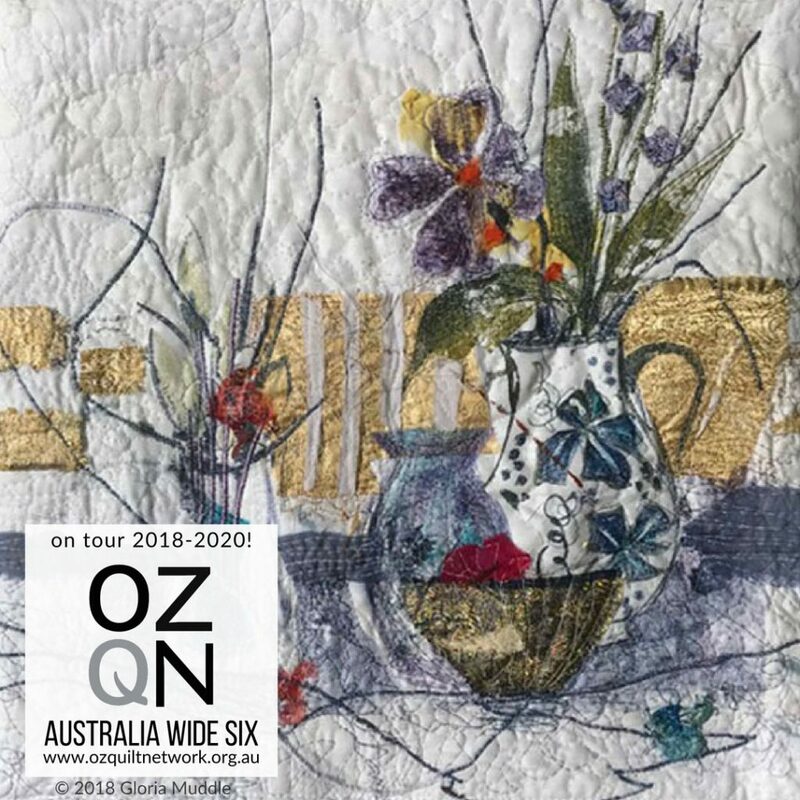 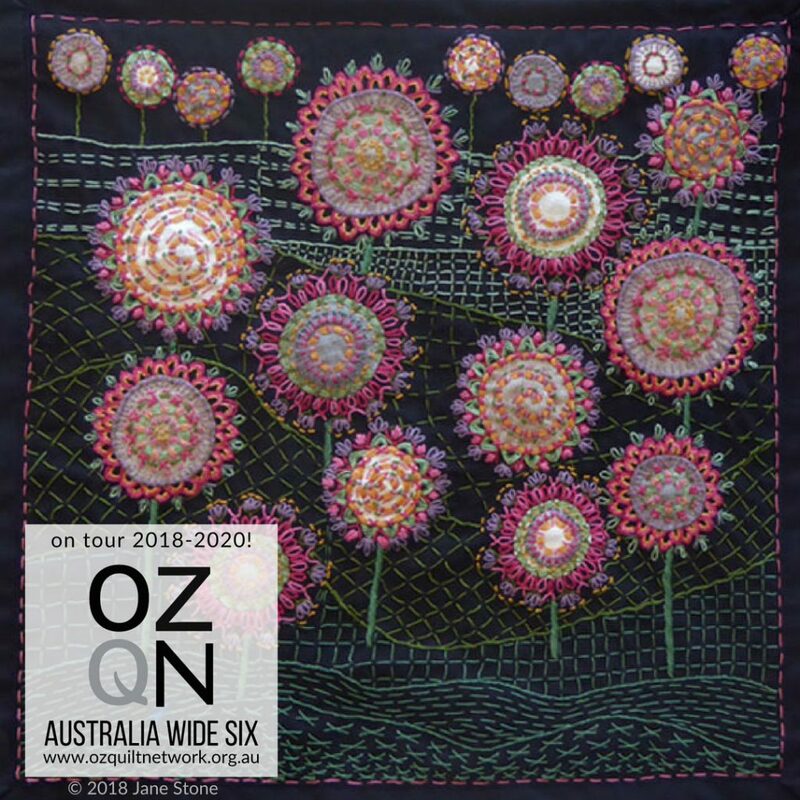 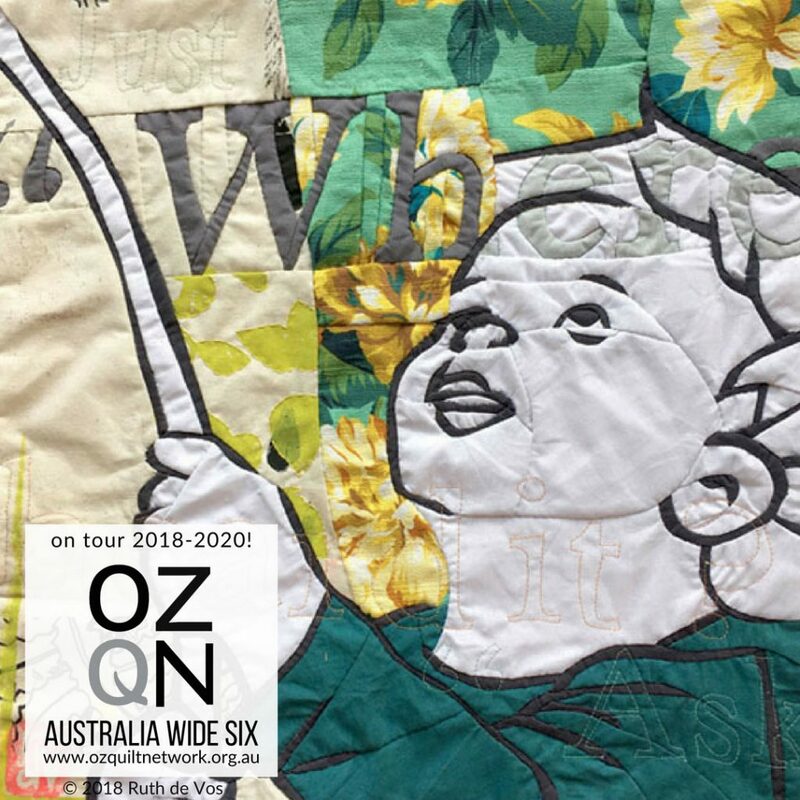 After joining Ozquilt Network in 2015 my style changed again with the wonderful influences of this group. 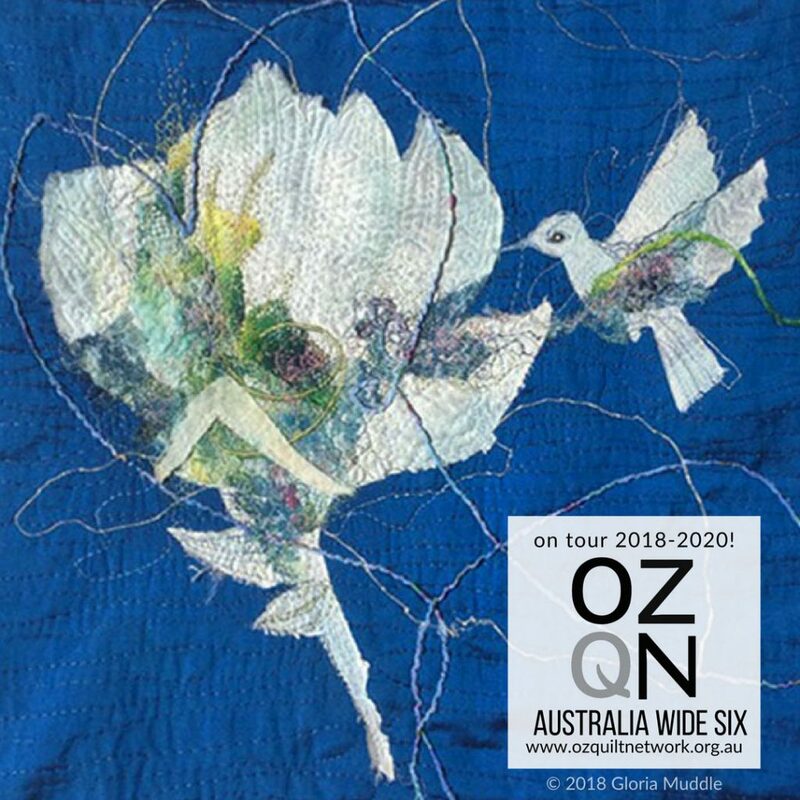 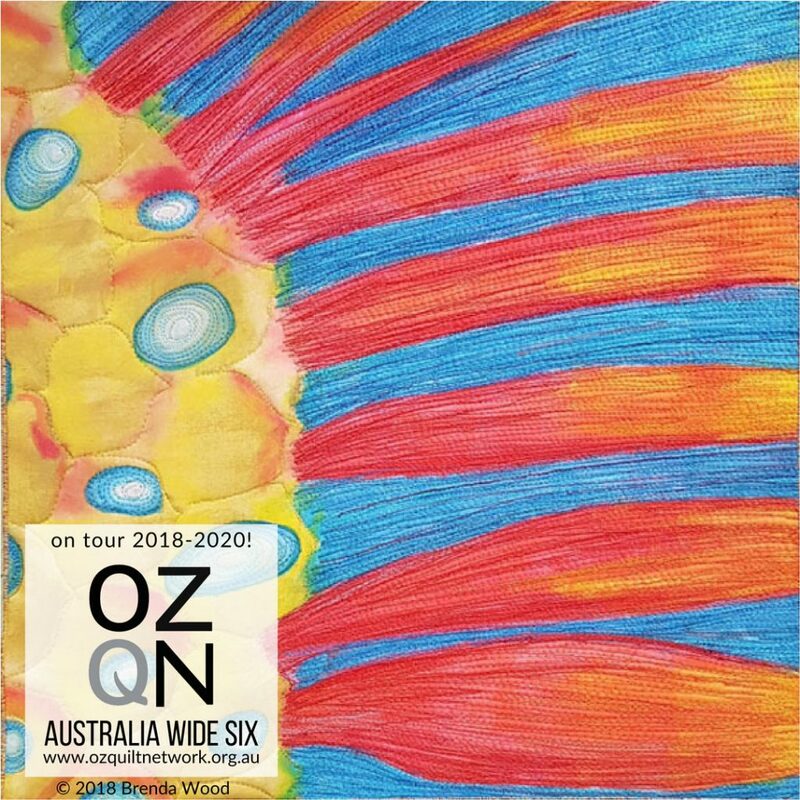 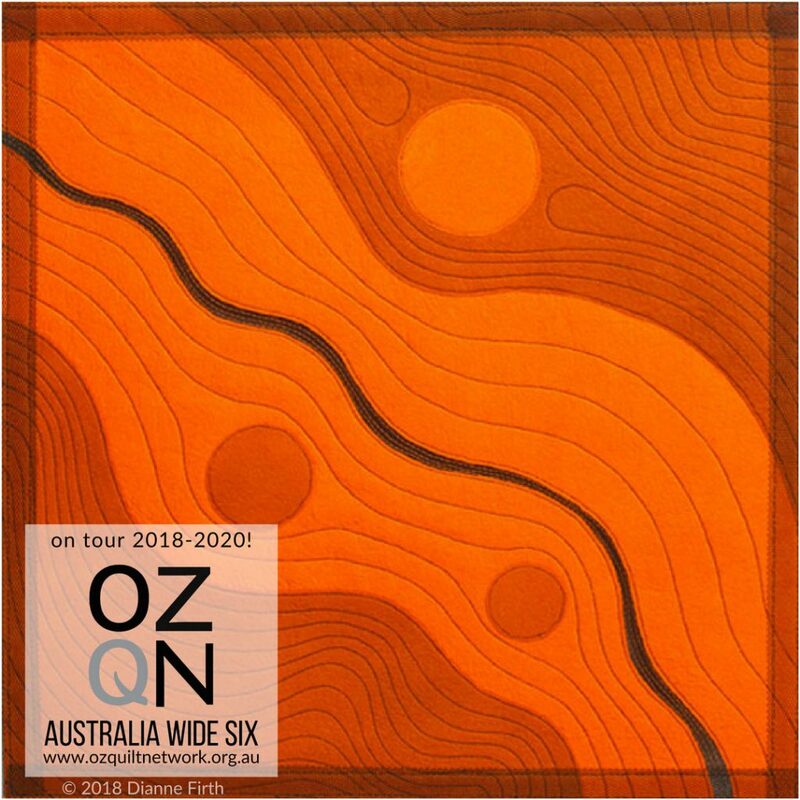 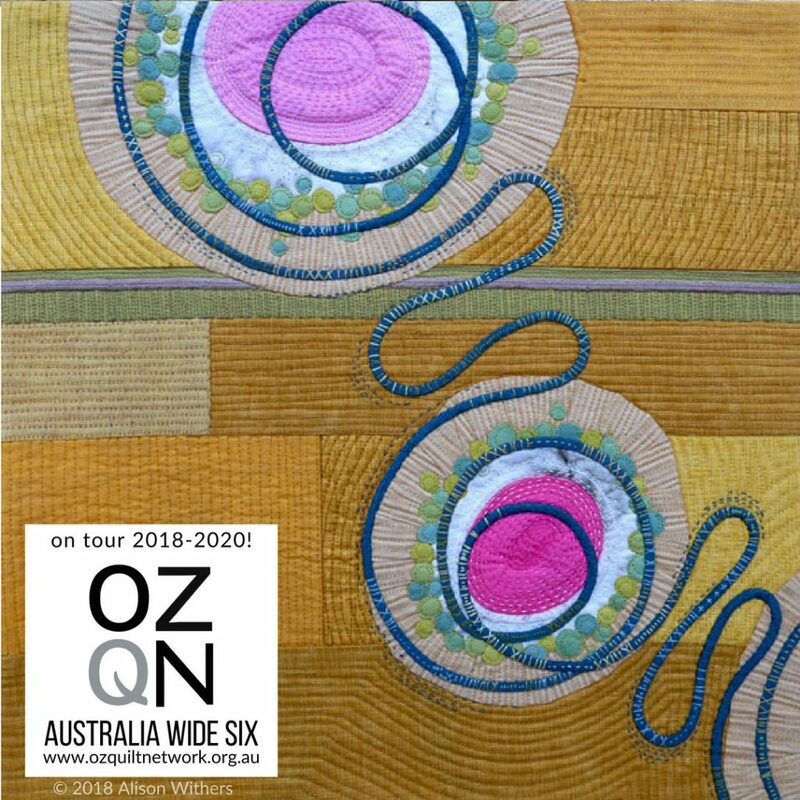 Since 2015, I have exhibited my textile art pieces across Australia, including the beautiful Uluru, and overseas in USA, New Zealand and Switzerland. 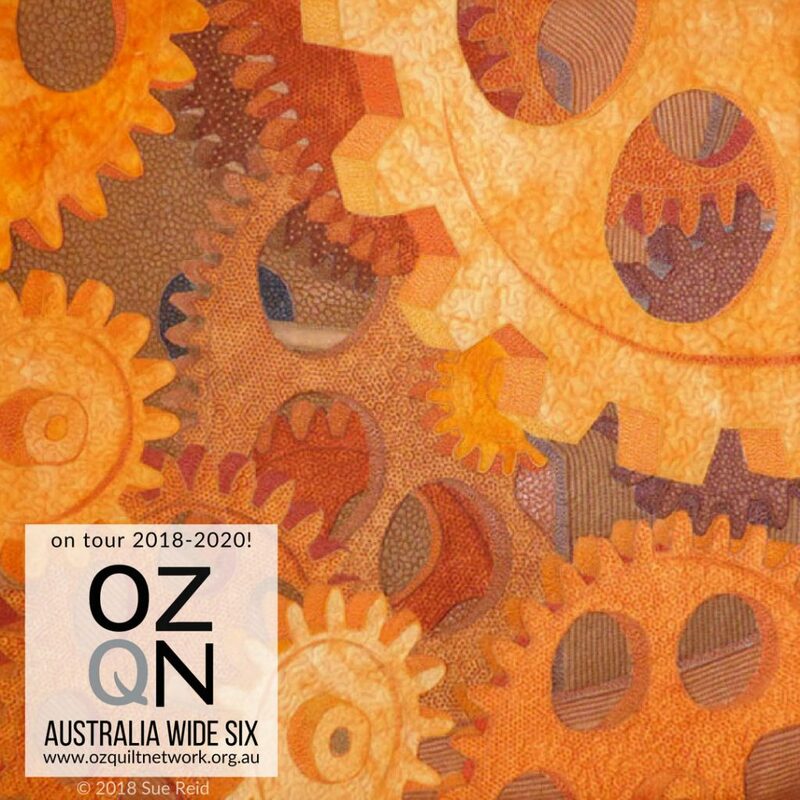 At present I am on a journey of Old things, attracted to Rust, rotting, disintegrating objects. 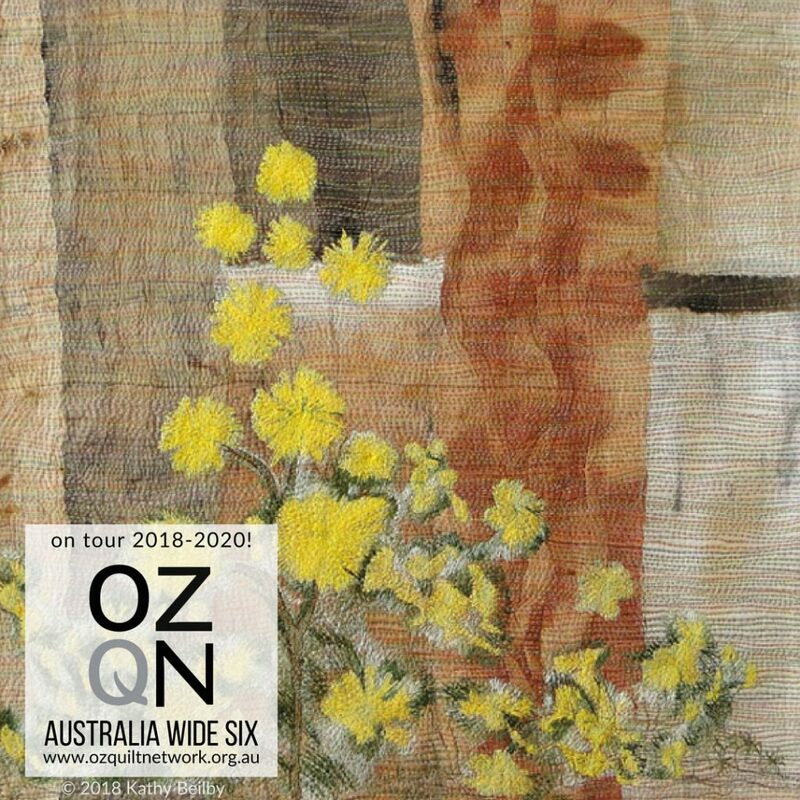 My Renovator’s Delight art is one of these pieces with many techniques used to create that old run down look. 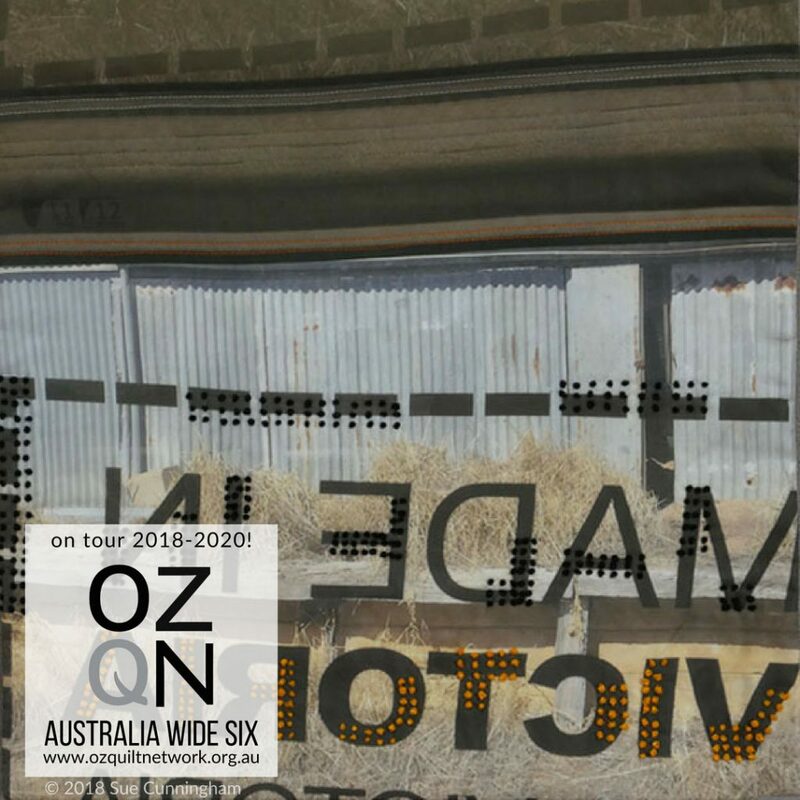 Statement: Once new now old, reflections in the windows, peeling and cracking paint, wood slowly rotting and splitting. 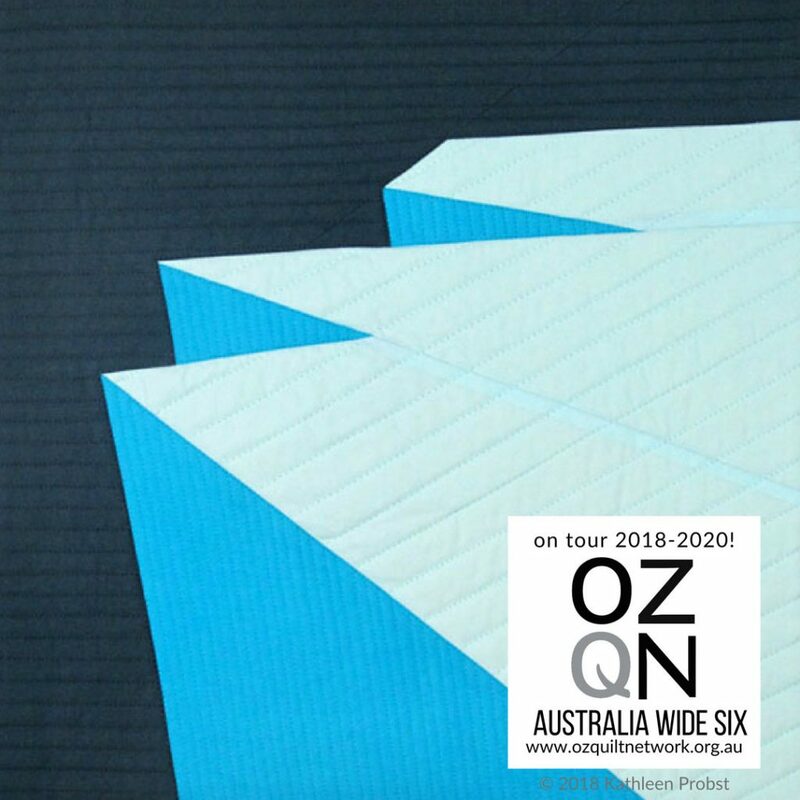 A Renovator’s Delight? 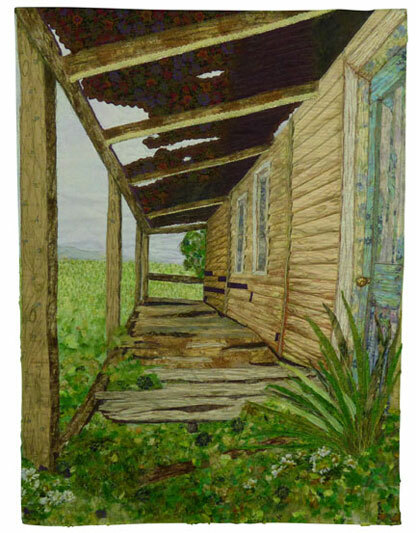 Statement: The front door was so neglected that there were no floor boards in front of it, just weeds defiantly growing up, trying to devour the space. The Old verandas floor and wall boards disintegrating and rooting away, the roof was a glorious corrugated burgundy rust. 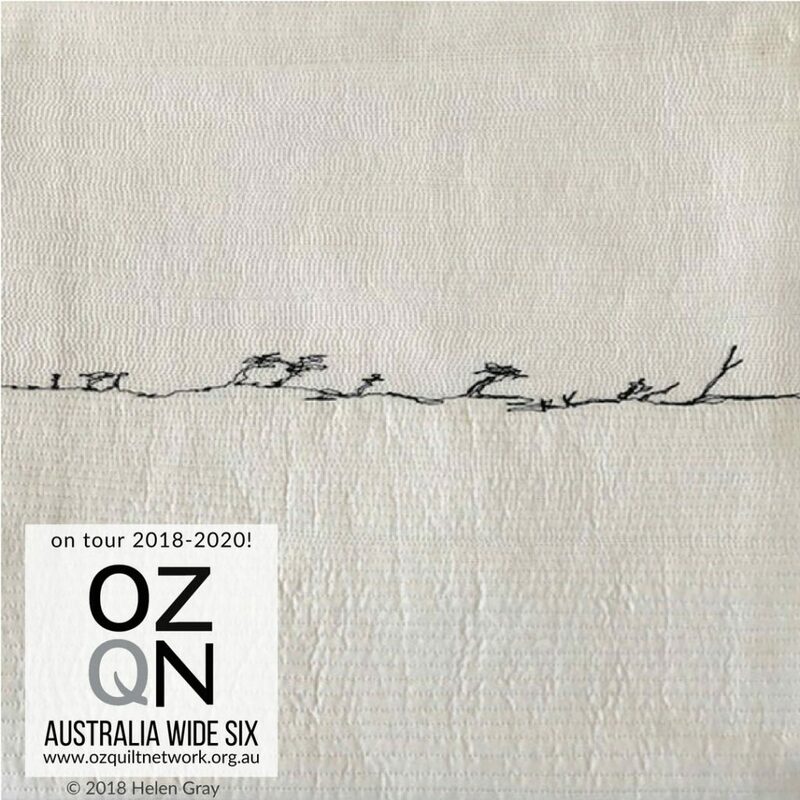 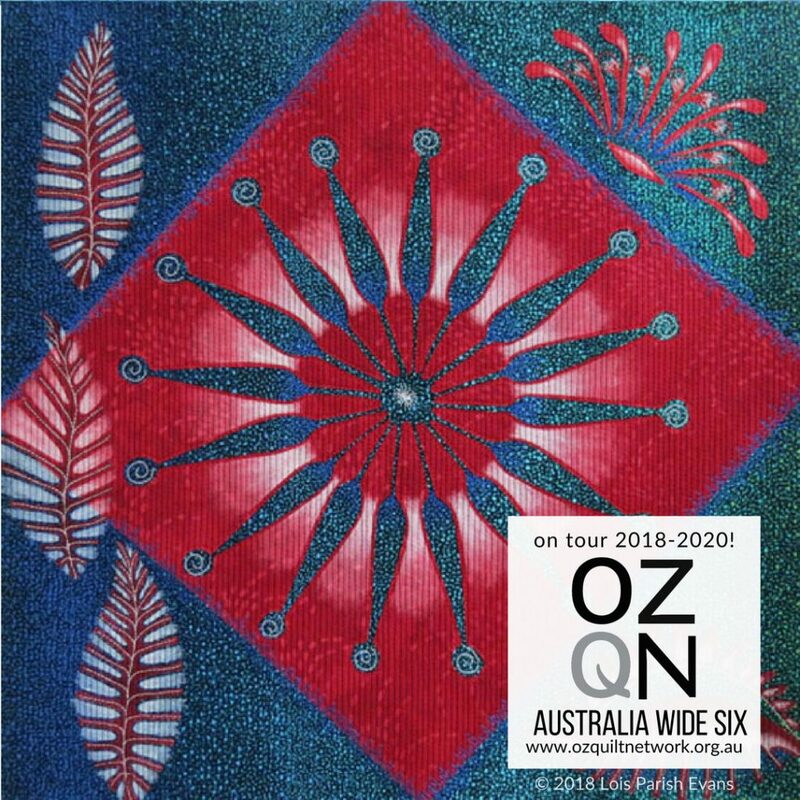 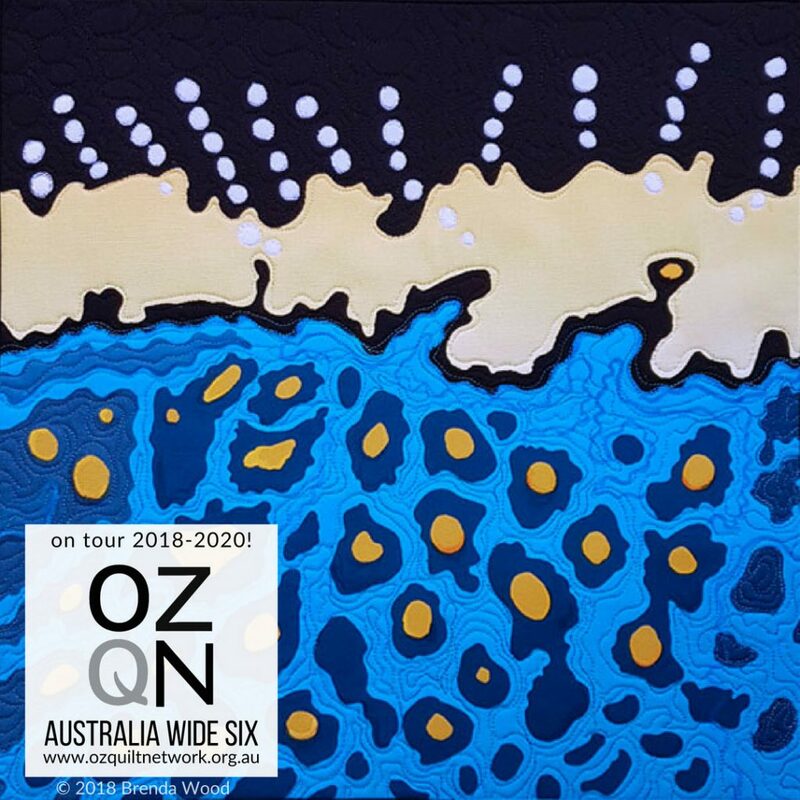 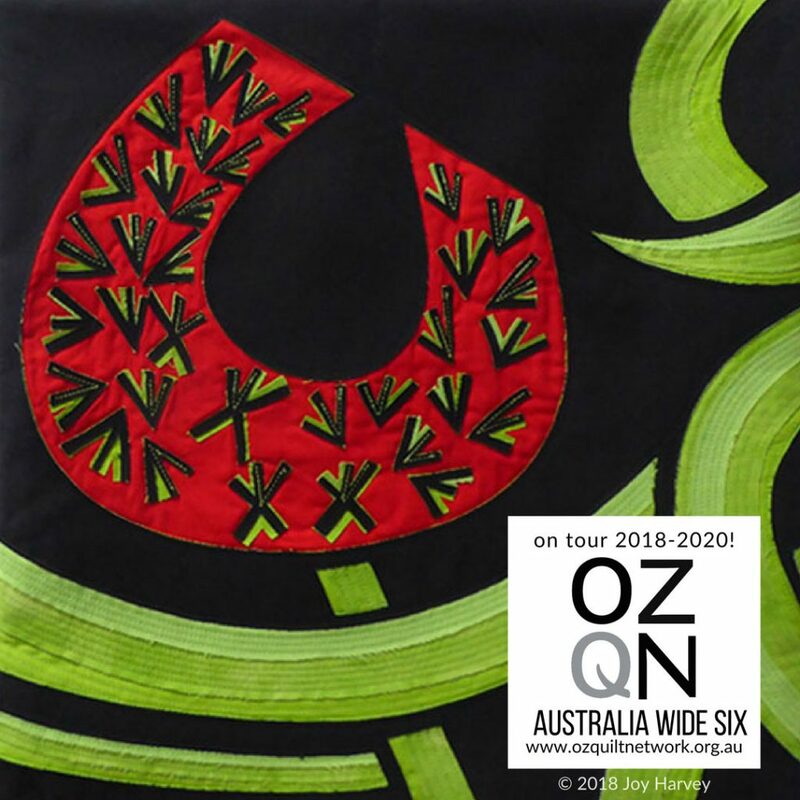 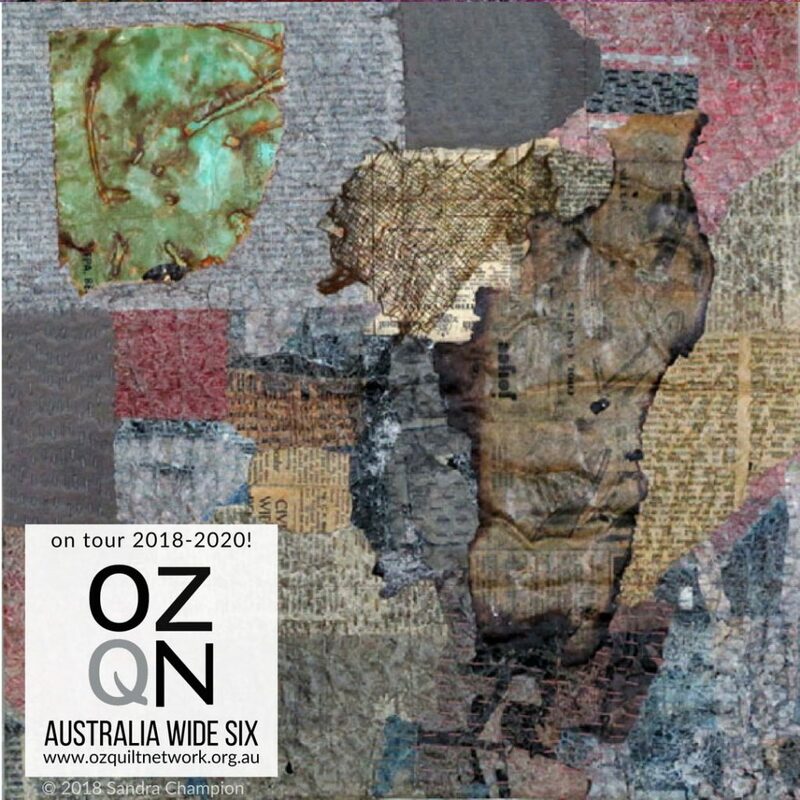 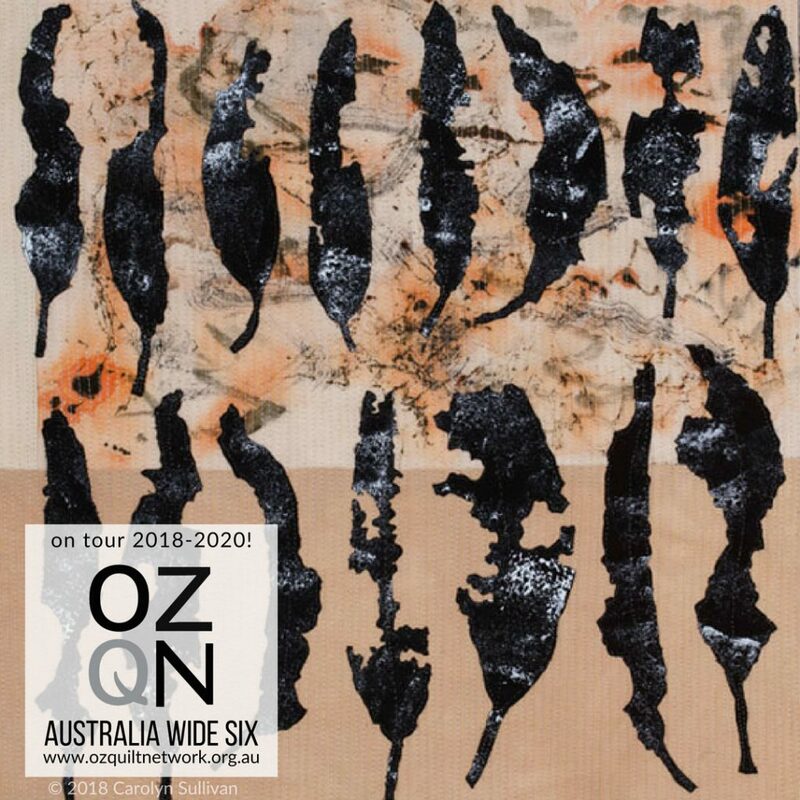 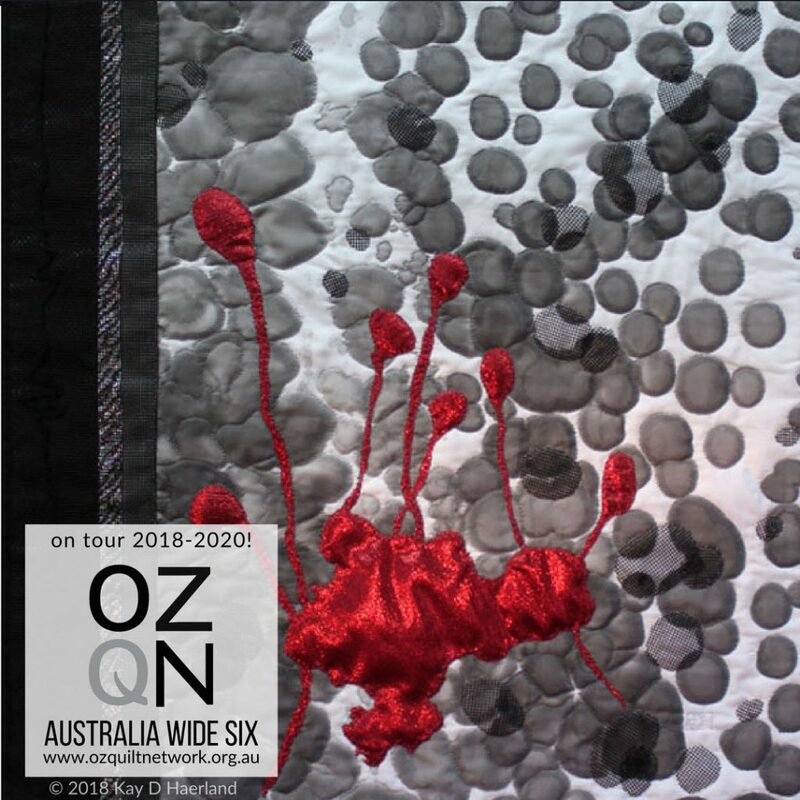 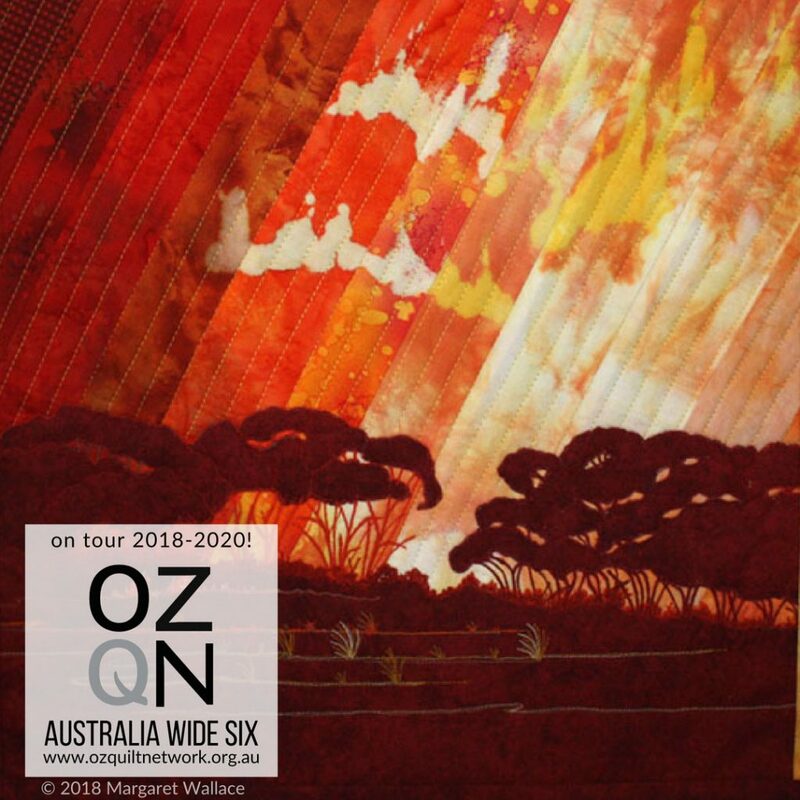 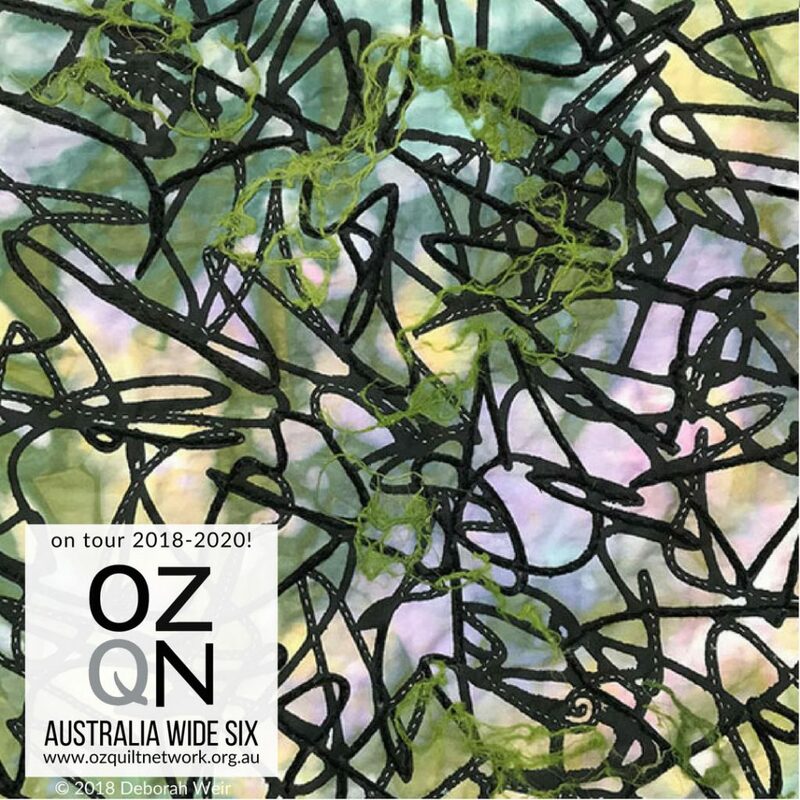 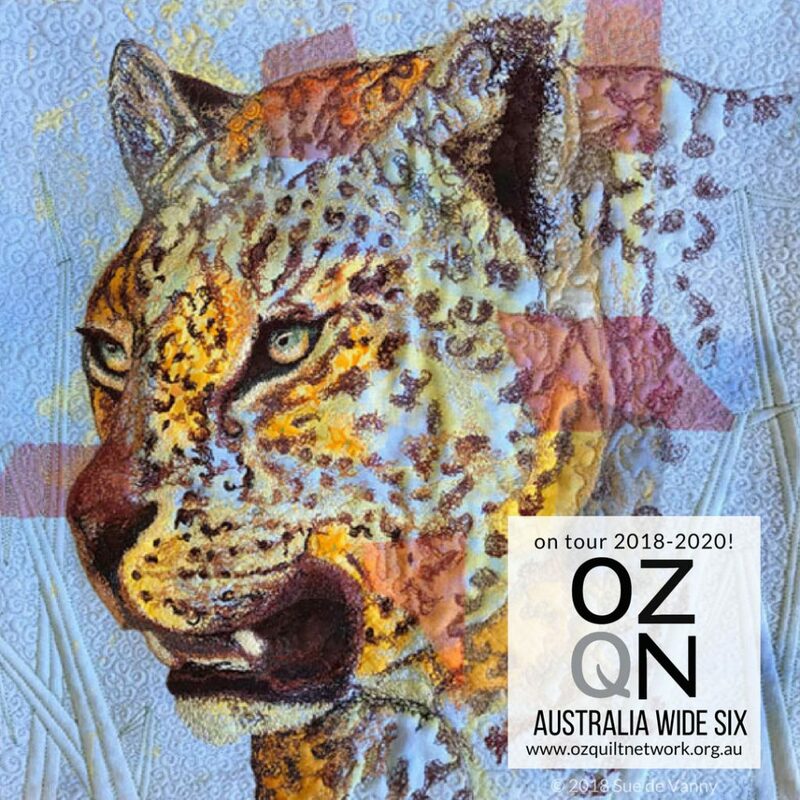 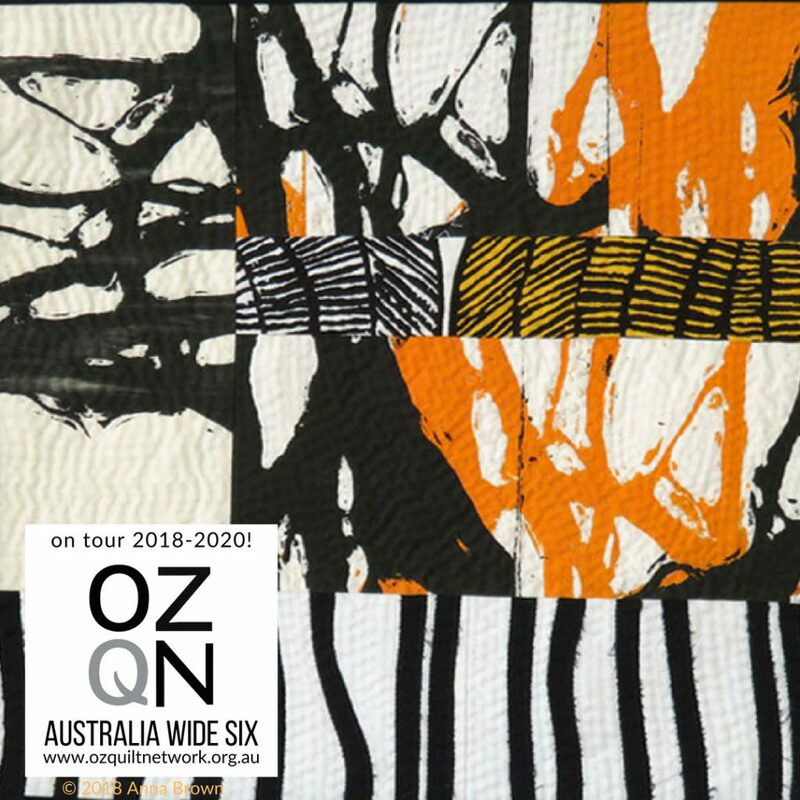 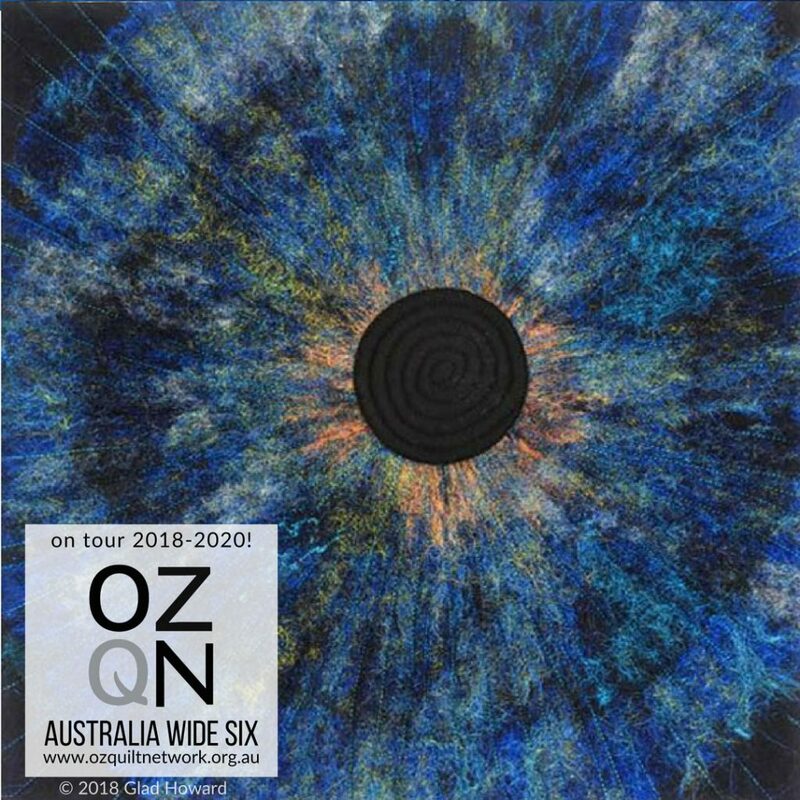 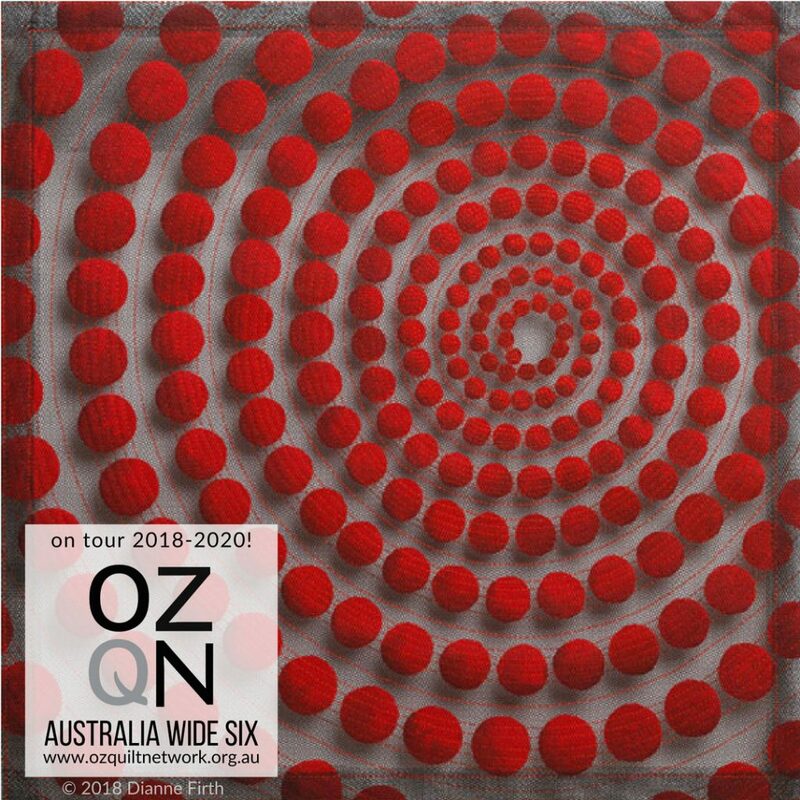 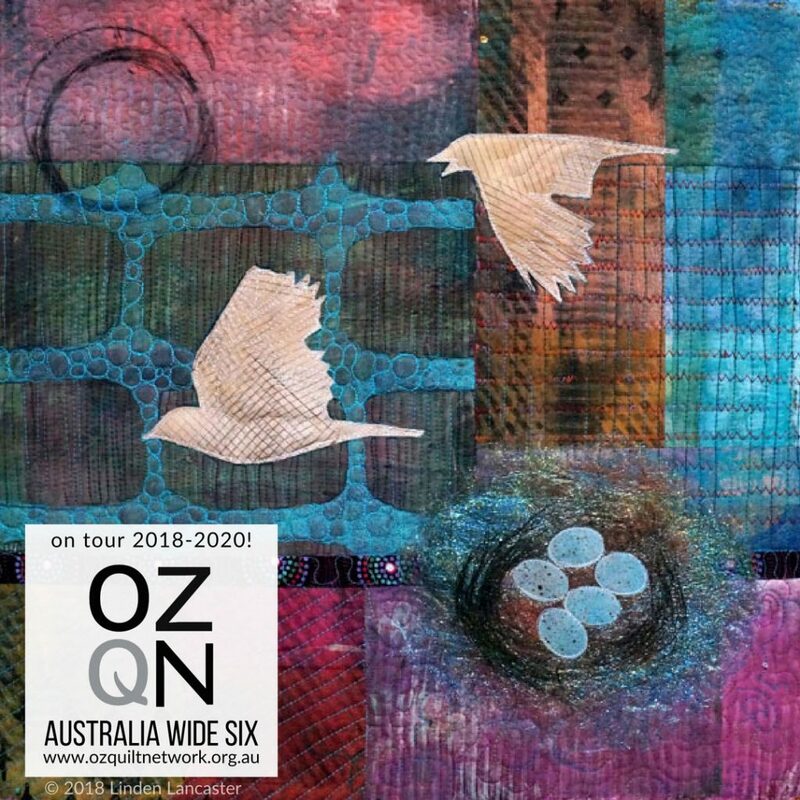 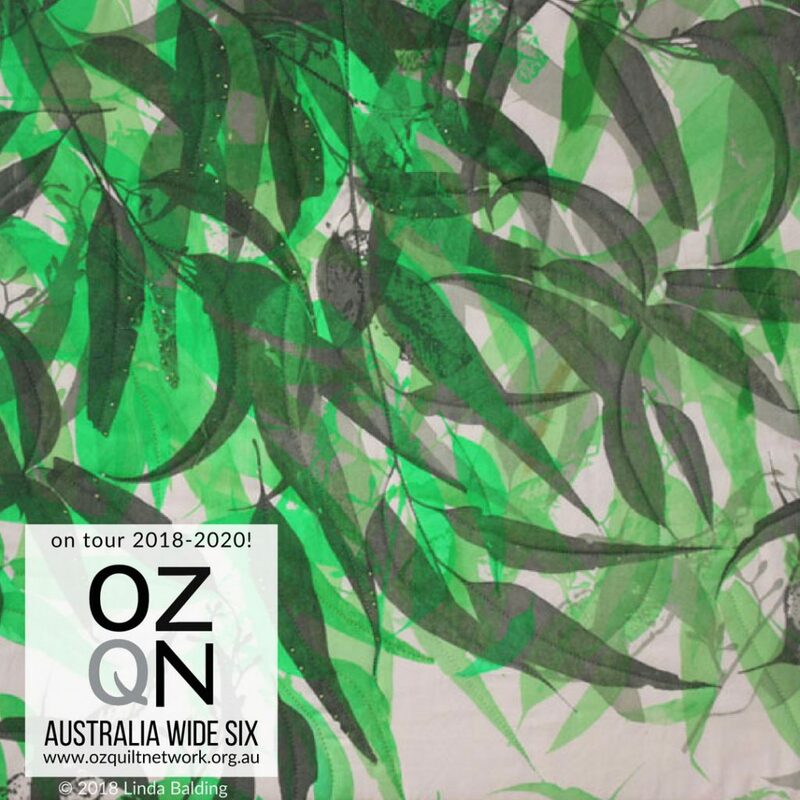 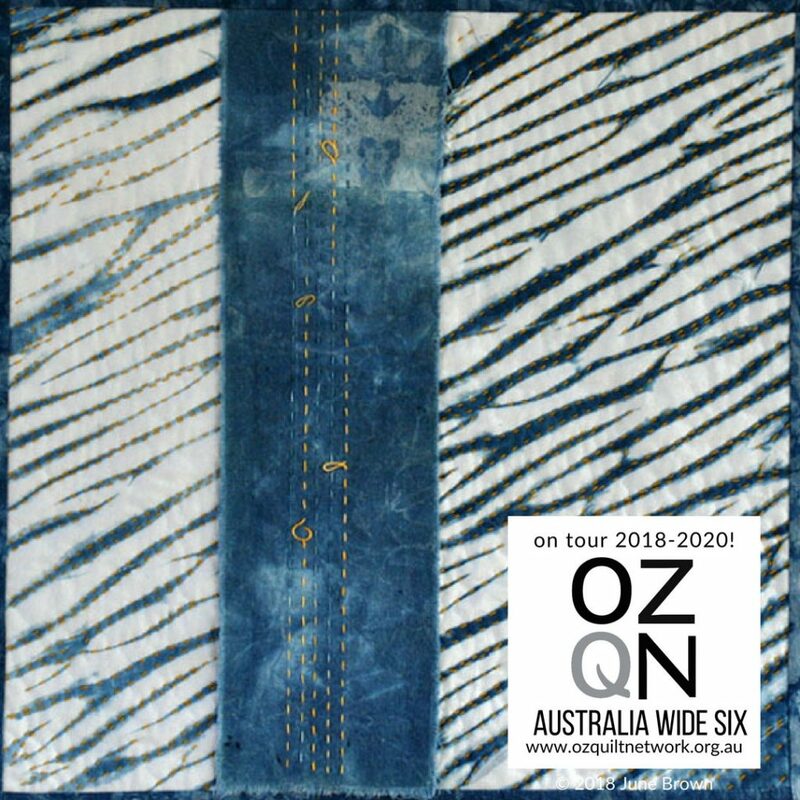 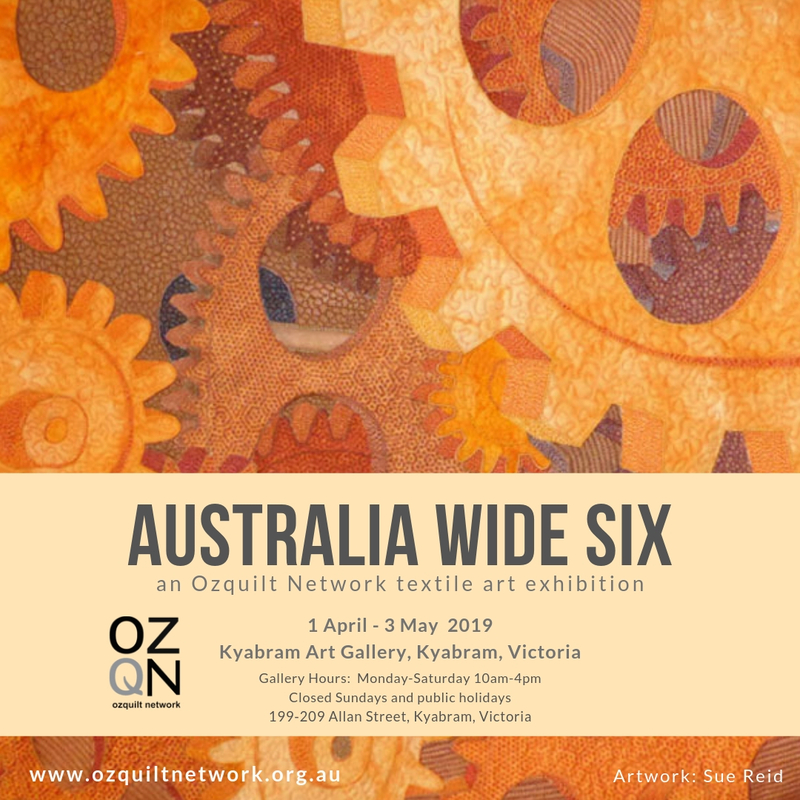 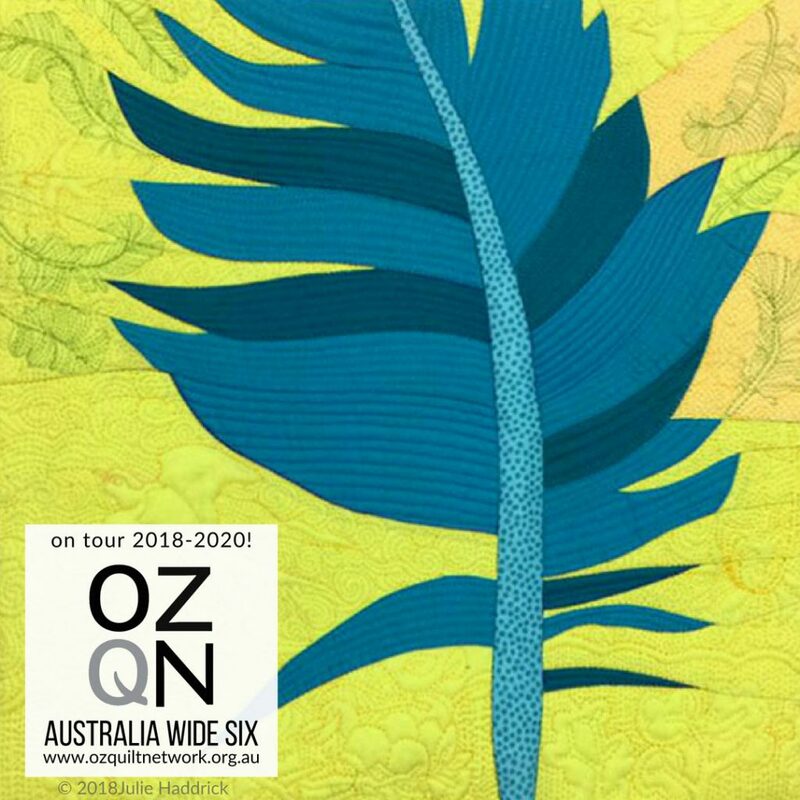 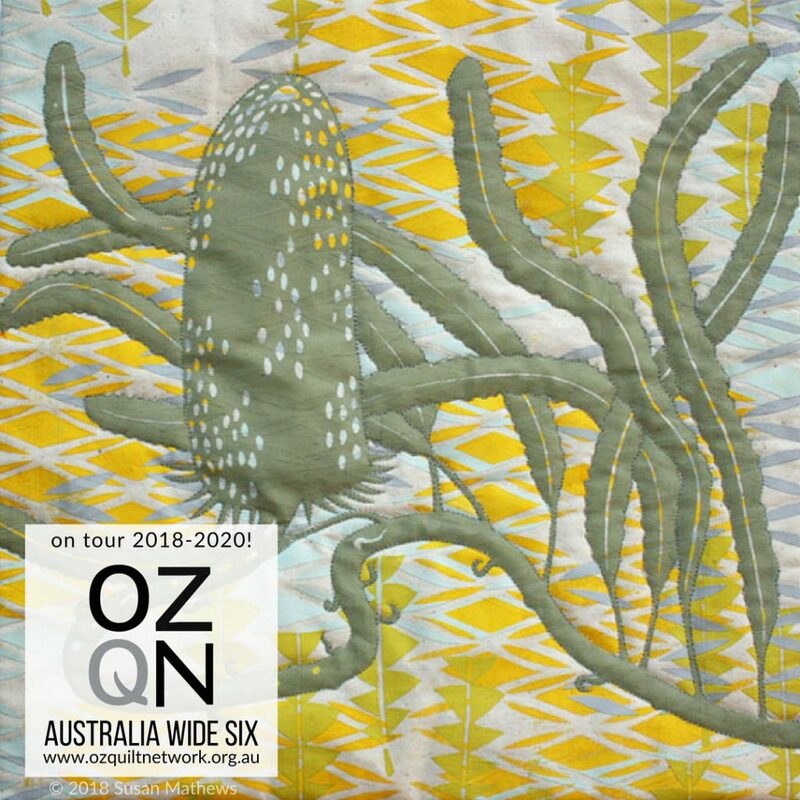 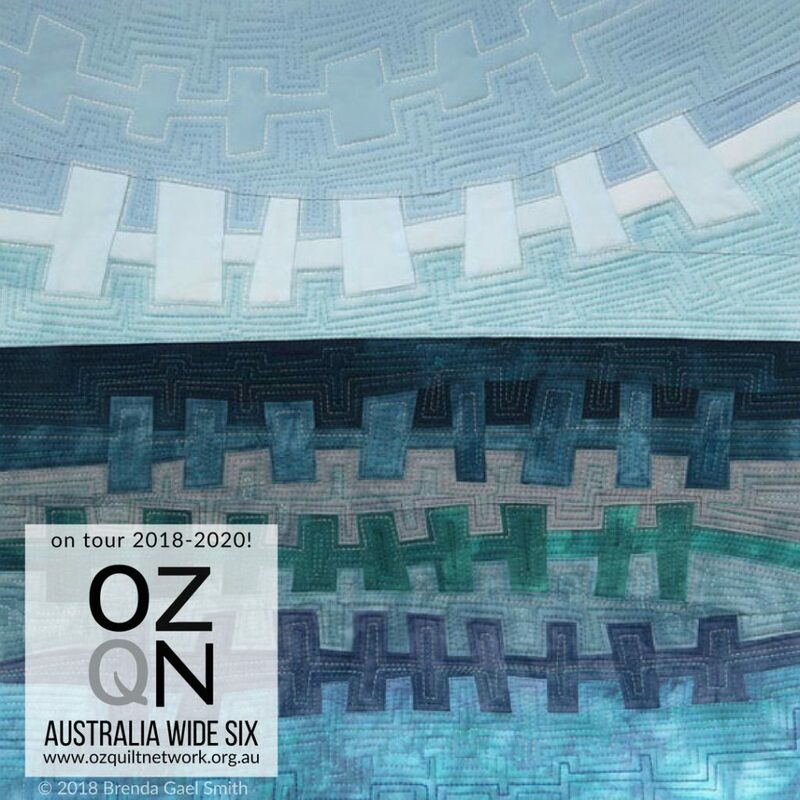 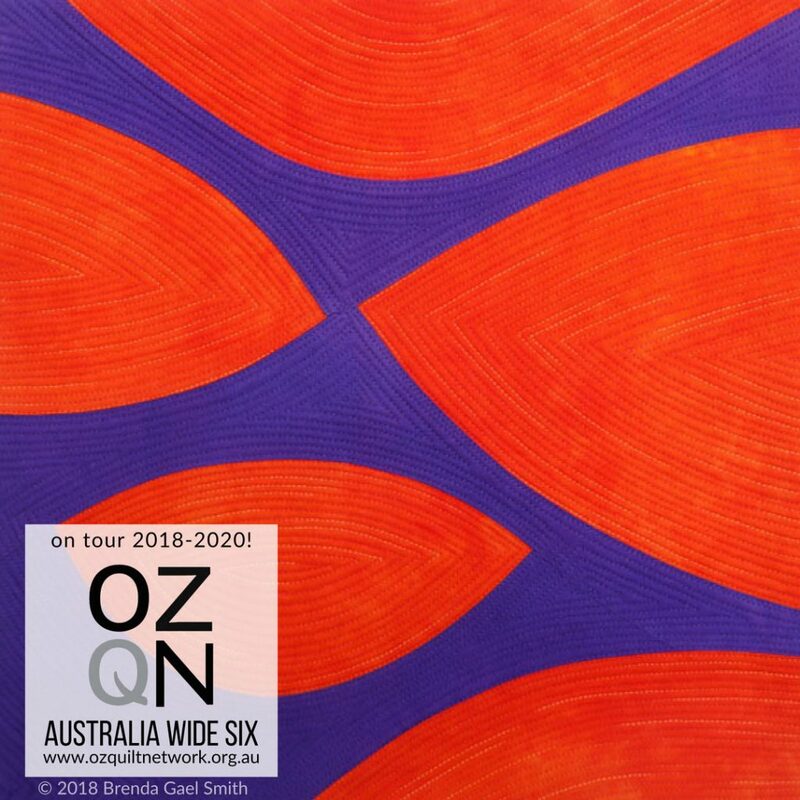 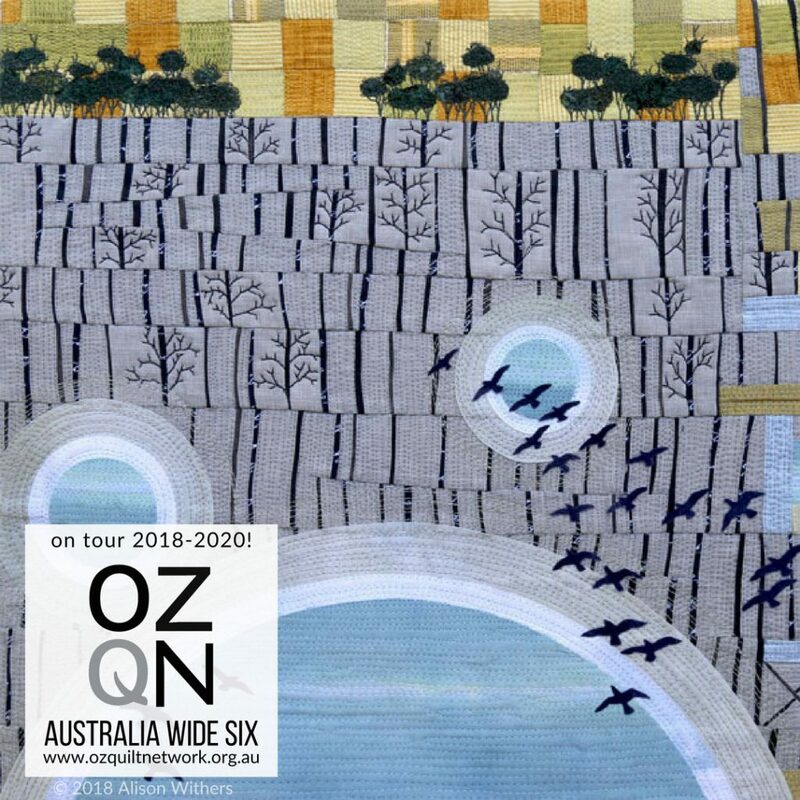 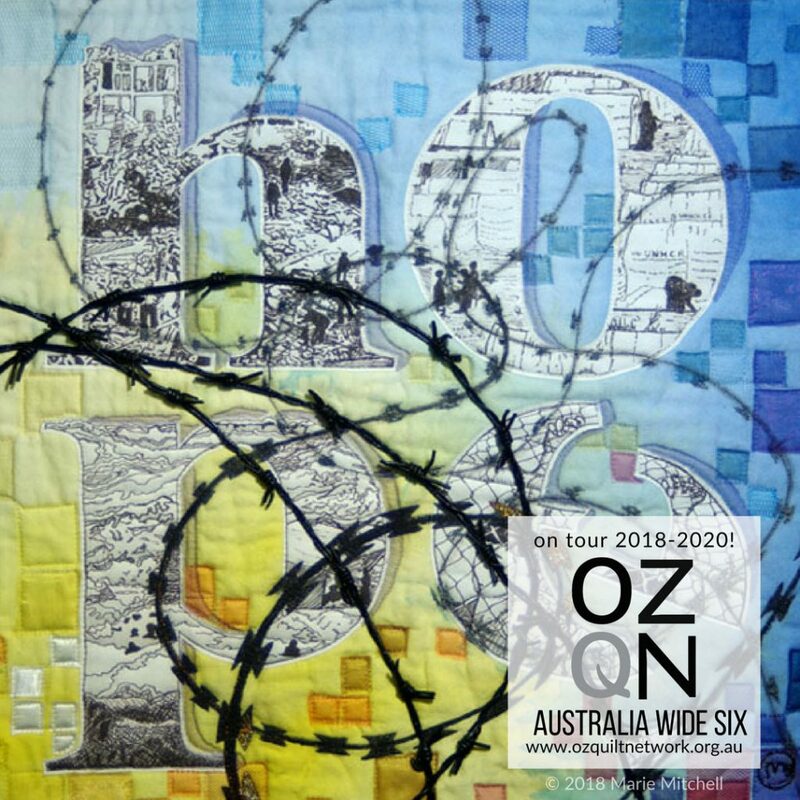 Exhibitions: Art Quilt Australia 2017 at Queen Victoria Gallery Launceston Tasmania (2017) and Yarra Ranges Regional Museum, Lilydale Victoria (2018) and Buda Contemporary Textiles 2018. Statement: A sunny winter’s day, in the rough seas in a small boat, watching the waves crash against the looming Rock Monuments that has been battered and worn into towering cliff faces. 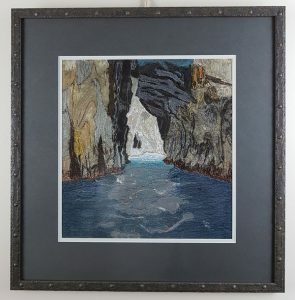 A hidden cave appears, secret and secluded, a perfect mmugglers cove in days gone by.